One World Trade Center‘s claim to the title as the city’s tallest building could soon be nil. 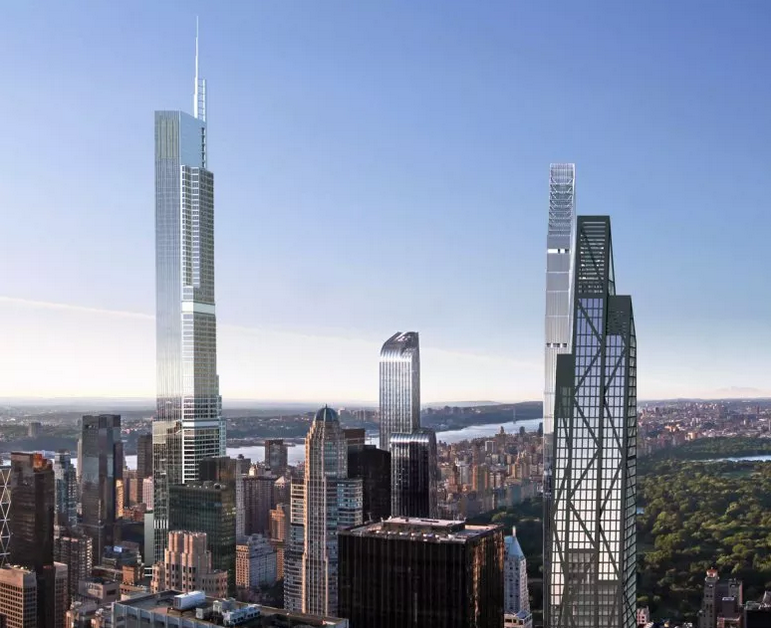 NY Yimby reports that the ultra-super-tall Nordstrom Tower at 217 West 57th Street has experienced a growth spurt that’s pushed its already jaw-dropping height from 1,775 to 1,795-feet. Though the addition of 20 feet seems insignificant for a skyscraper of such size, the consequences are not: The tower will now not only be the tallest building in the city (19 feet higher than 1 WTC) when completed, but also the tallest in the U.S. and the western hemisphere. According to the Yimby, the tower’s plans were amended some time between April and June of last year. The new design—which doesn’t appear all that much different architecturally from the original created by Adrian Smith + Gordon Gill—sees the building’s roof height stretched from just over 1,478-feet to 1,530 feet, with the spire bringing the entire structure to 1,795-feet.